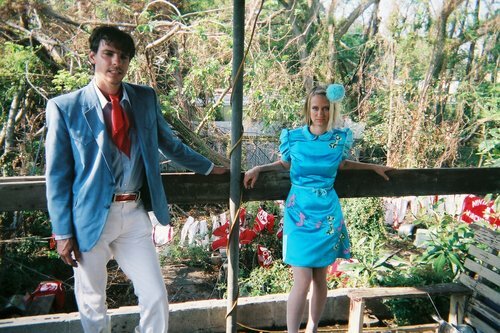 Two of our favorite New Orleanians, Quintron and Miss Pussycat, have a new record coming out this spring called Sucre de Sauvage and after getting our first little sample, we’re pretty excited about it. On top of that, they’re gonna be doing some serious Bruise Cruising. They’ve got their split-Bruise-Cruise 7″ with Turbo Fruits slated to come out sometime in the next couple weeks. Don’t worry, even if you’re not cruzing you’ll probably have a chance to snag a copy of it at Grimey’s. And, even if you’re not cruising, you’ll get your chance to catch them some other time this year. But, if anyone is down to hit some Mardi Gras this year, we’re totally up for a road trip to go see them play and get some beads. The new record comes out April 12th from Goner.